Myth: Why do sharks attack swimmers? Adam - Great white sharks can seem absolutely terrifying. “Jaws” was proof enough of that. They can be up to six metres long, weigh nearly 2000 kilograms, and can swim at 35 miles an hour. They are apex predators. Nothing goes near them. Meanwhile, sharks usually approach us calmly and quietly in comparison. Then, yes, they do take a bite but not for food. It's usually because they're just curious wondering what that thing in their backyard is, and they don't have hands to prod and poke something. Babies do that too. Need to understand what something is? Are you a baby? Put it in your mouth. So sharks are just like babies; giant, serrated tooth-filled babies. Isn’t that nice? And even if they were going to attack humans for food, we're really not worth the effort. Compared to blubber rich seals and sea lions we’re very boney things. Research published in 2016 has shown that most of the bites inflicted on surfers and surfboards aren't strong enough to take out or incapacitate a seal. And sharks are very good at doing that. That idea is supported by Peter Klimley from the UC Davis College of wildlife fish and conservation biology and was supported by R. Aidan Martin, Former Director of the reef Quest Center for Shark Research in Vancouver, Canada before his death in 2007. There is a theory that sharks will make an initial bite, swim off, and wait for the thing to bleed out. Well, they tend to use that for large prey. Elephants-seal-large, and we are not that large. So unless they are desperate, they don't think we're seals and they want to investigate more than they want to hurt us. Sadly the sentiment is not returned. In 2013 humans were killing 100 million sharks a year, which is roughly two hundred every minute. 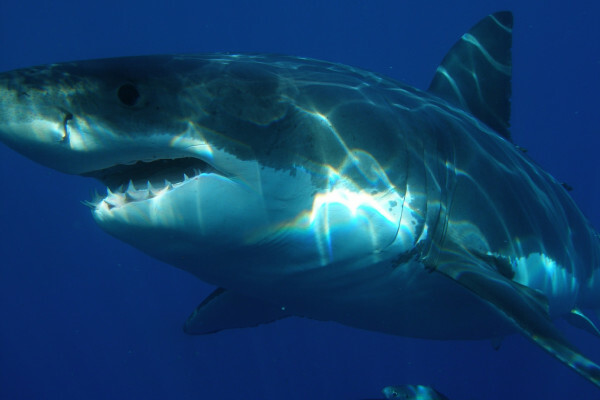 That means the great white shark is now listed as vulnerable, and great whites can take up to 30 years to be able to reproduce making it that much harder for them to replace their population. Maybe it's time we start looking after them and stop being so afraid of them. We should probably do that before we seal their fate.